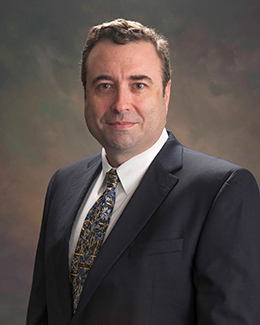 An honors graduate of Rollins College in Winter Park, Florida, Douglas R. Sinclair, DO, earned his medical degree from the University of Health Sciences in Kansas City, Missouri. After his internship, Dr. Sinclair completed his residency in adult neurology at the University of Tennessee in Memphis, where he also served as chief resident. Dr. Sinclair is board certified by the American Board of Psychiatry and Neurology and is a member of the American Academy of Neurology. He has more than 10 years of experience in adult neurology and has specialized skills in electromyography, evoked potential testing, electroencephalograms, lumbar punctures, and maintenance programming for vagal nerve stimulation and deep brain stimulation. He most recently treated neurology patients at Epilepsy Services of South Florida in Bradenton and as a partner at Bradenton Neurology. Dr. Sinclair proudly joins Donald E. Schmechel, MD, and the highly skilled staff at Southeastern Neurology & Memory Clinic. The practice provides comprehensive care in the evaluation, monitoring, prevention and treatment of cognitive and general neurological disorders, including nervous system inflammatory diseases, Alzheimer’s disease, affective disorders, fibromyalgia, multiple sclerosis, myasthenia gravis, early and late onset dementia, post-traumatic stress disorder and Parkinson’s disease, among other conditions.